Australian Mining has released the list of finalists for the 2018 Prospect Awards, representing a variety of individuals and companies, from small startups to major mining companies. 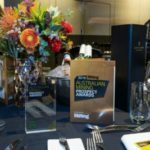 Celebrating its 15th year, the Prospect Awards will take place at the Sydney Cricket Ground on October 18. The annual event of the Australian mining industry’s best and brightest continues its tradition of strong industry support this year with sponsorship from leading mining sector companies. There are 13 award categories taking in everything from hard rock, coal and contract miners, to mine management, health and safety, minerals processing, innovation and more. In keeping with Prospect Awards tradition, two of the 13 award categories follow special rules. The recipient of the Liebherr-sponsored Lifetime Achievement Award will be announced on the night and the Australian Mine of the Year Award will be chosen from the winners of the Hard Rock Mine of the Year and Coal Mine of the Year categories.